Doctor Who fans in the US are being urged to keep the plot of Saturday’s finale secret after DVDs of the series were sent out early in error. It appears “a small number” of fans had been sent pre-ordered DVDs three weeks early. The show’s producers asked those with the DVD not to reveal plot details which would ruin the “viewing pleasure” of others. They promised footage of current Doctor Matt Smith with predecessor David Tennant “if everyone keeps the secret”. “A small number of US Doctor Who fans have received their series seven part two DVD three weeks early,” BBC Worldwide said in a statement. The statement said BBC Worldwide was “currently investigating how this has happened”. 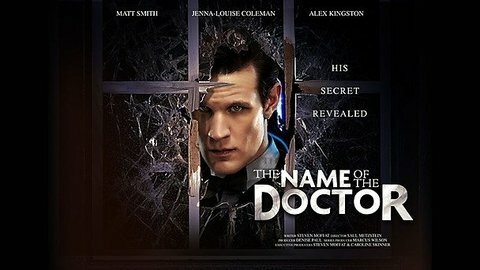 It added executive producer and lead writer Steven Moffat had promised the special video featuring Matt Smith and David Tennant if the secret was kept. Saturday’s episode of the BBC One show, The Name of the Doctor – written by Steven Moffat – comes ahead of a 50th anniversary 3D special, due to air on November 23. David Tennant and Billie Piper, who played his on-screen companion Rose Tyler, are among those who will guest star. David Tennant starred in Doctor Who from 2005 to 2010, while Billie Piper first appeared in 2005 opposite Christopher Eccleston, who played the ninth Doctor. In May 2011, Steven Moffat criticized those “who call themselves fans” who revealed crucial plot lines ahead of transmission. “You can imagine how much I hate them,” he told BBC Radio 5 live. He said it was “heartbreaking” when a fan, who had been invited to a press screening but asked not to give away spoilers, had posted the entire plot of two episodes on an internet forum “because you’re trying to tell stories and stories depend on surprise”. The 50th anniversary of Doctor Who was marked at Sunday night’s TV BAFTAs with a video montage while Jenna-Louise Coleman, who plays current assistant Clara Oswald, presented an award.